Educational lectures followed by an open debate are often organized by schools and universities in occasion for World Kidney Day. One or more expert speakers are invited to give a presentation on kidneys and kidney diseases. The aim of these educational sessions is to make people aware of the importance of our kidneys, teach them how to take care of them, encourage them to get tested for kidney disease if they are at risk and help them to cope with the consequences of having kidney disease. 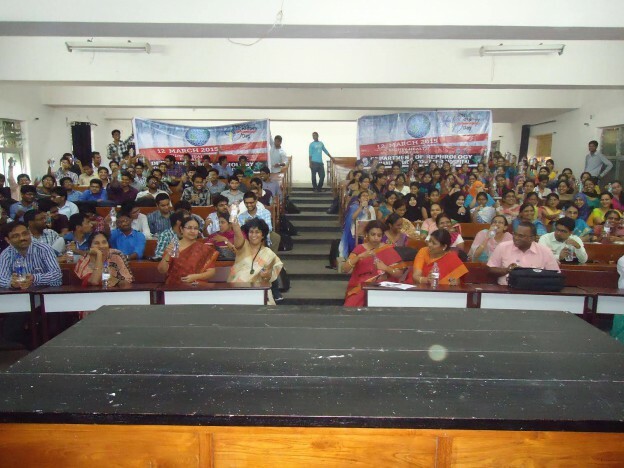 Here is a very successful and innovative example of educational session organized by Manisha Sahay at the Osmania Medical College. Manisha Sahay from Osmania Medical College shares her experience in organizing a live, call-in program on television during World Kidney Day. Manisha has been an active member of ISN’s Young Nephrologists Committee, which has inspired her to take part in World Kidney Day every year. Kidney disease has reached epidemic proportions in India due to the increasing incidence and prevalence of diabetes. As a nephrologist working in a government hospital Manisha Sahay sees patients from some of the poorest parts of society. “I am appalled by the prevailing ignorance about kidney problems […]. In a good percentage of patients, kidney diseases could have been slowed down or even prevented. I strongly feel that prevention is the way to go”. In this context, Manisha has chosen to give her contribution to increase awareness and fight the ignorance surrounding kidney diseases. With the help of the principal and the staff of Osmania Medical College, she organized an educational session on kidneys and kidney disease that was broadcasted on TV. Spreading the information was a big challenge. The involvement of the hospital principal and staff was valuable in gathering people for the event. ”We promoted it on TV, in newspapers and through the hospital, which helped us spread the message to all the students who in turn communicated the news to their families, friends and the general public,” she says. Planning in advance and working out the schedule minute to minute helps make it a successful event. Manisha believes that the World Kidney Day kit contains all the essential key messages, which can be easily translated into the local language. The logos and the material can also be modified to local needs. The response from the attendees and the impact of the program were the most rewarding things, says Manisha. “There were several requests to organize more events like that. The number of people coming to our CKD prevention clinic at Osmania have increased many folds”.